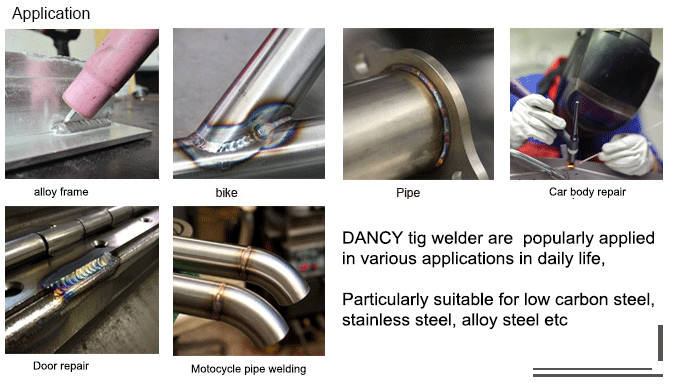 Fronius tig welding machine stands for Tungsten Inert Gas and is technically called Gas Tungsten Arc Welding or GTAW. 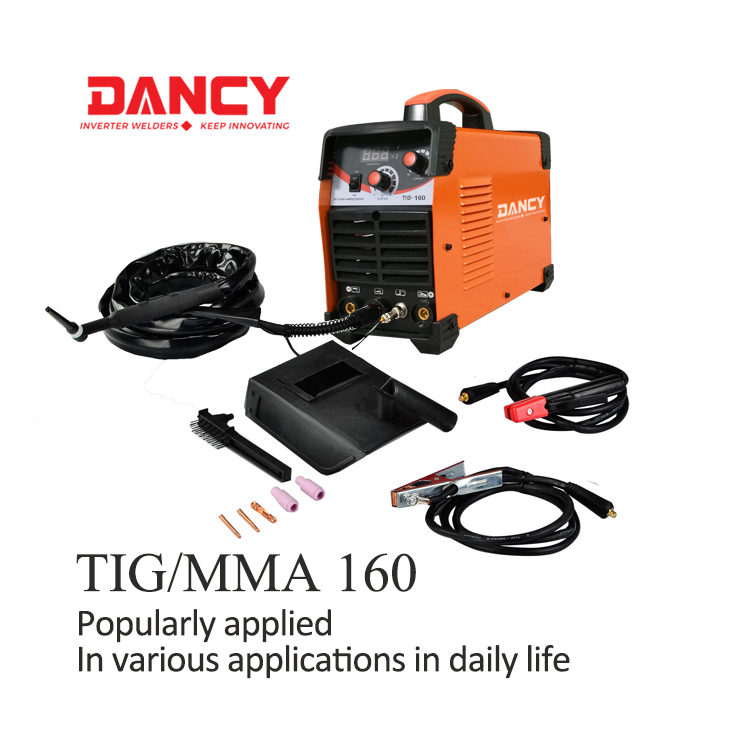 The alpha tig is one of the most popular welding process.Since the tig welding torch uses low amperage,the process works well on thin pieces or metal.The inverter TIG welder machine produce in small size,light weight,portable and easy to take,allows welders to quickly move and switch from work on thin pieces of metal to thick ones,it makes TIG welding as a versatile process. 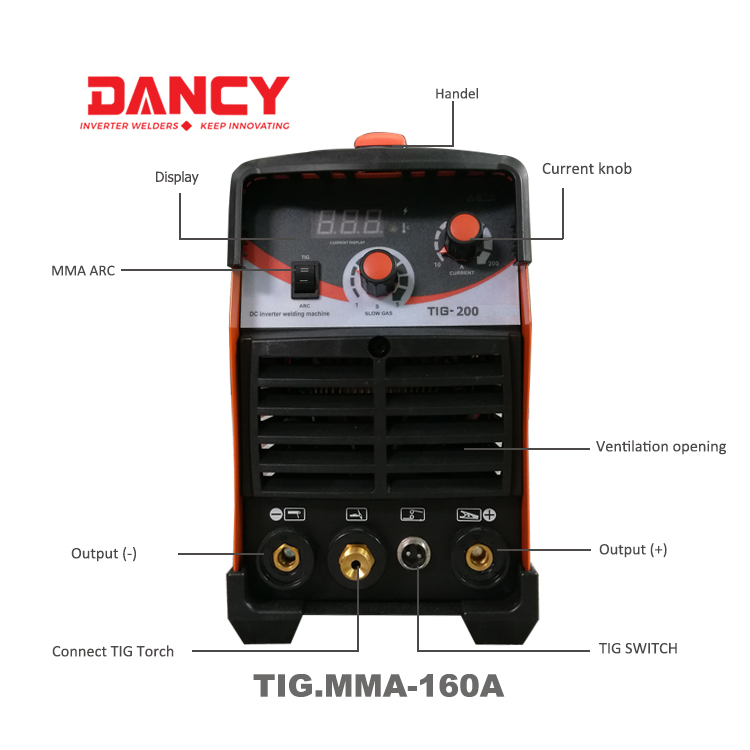 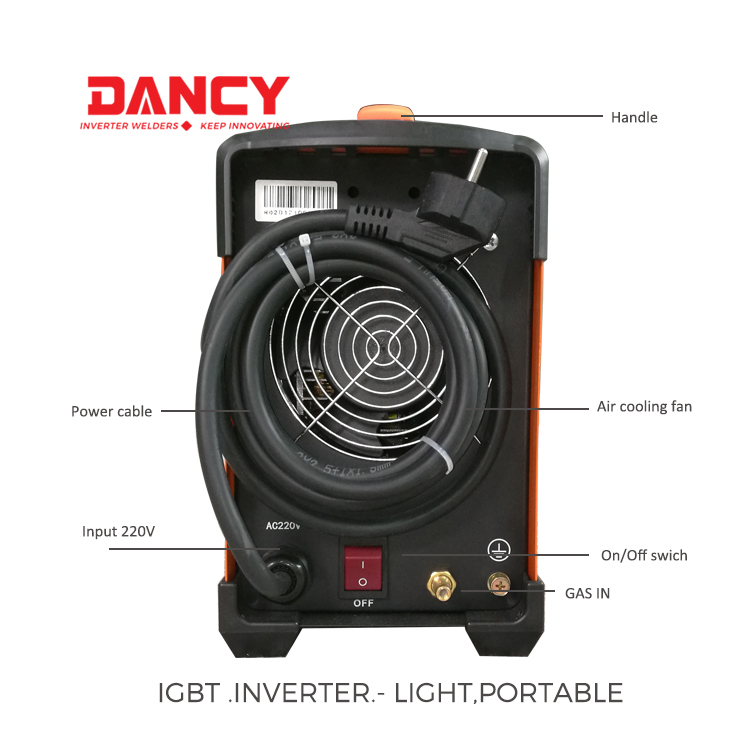 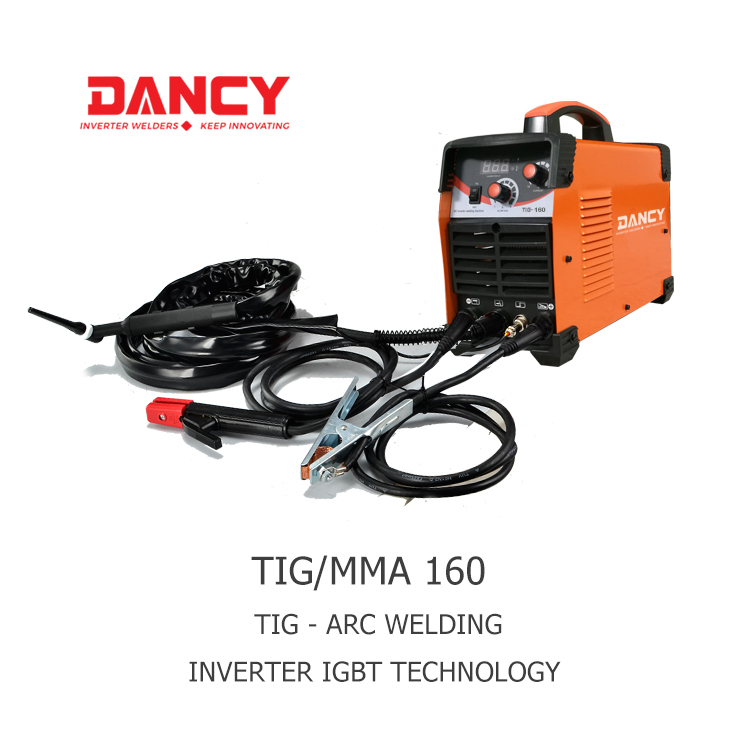 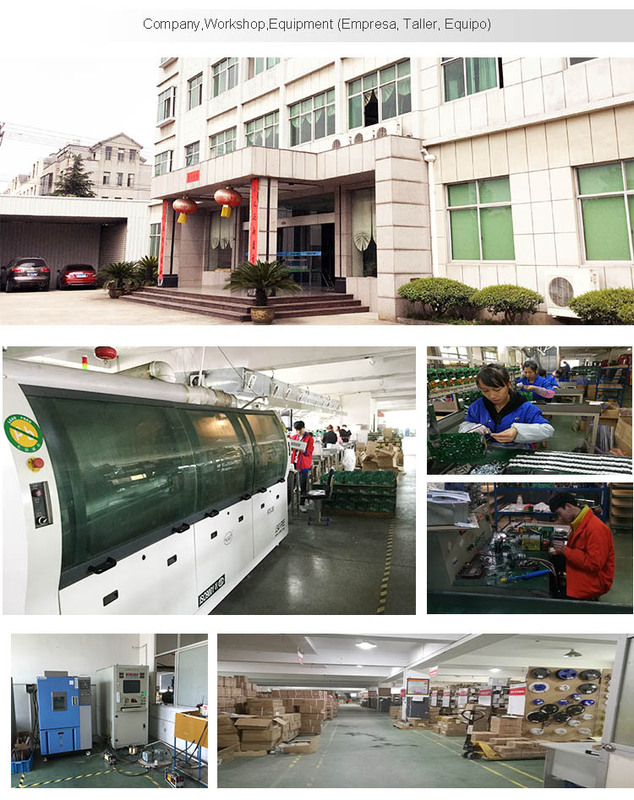 Our DANCY tig welding machine, which is made of high-class nylon belt holder as well as delicate treatment, integrates comfortable handle, compact size,easy operation and high precision, and is popularly applied in various applications in daily life, particularly suitable for low carbon steel, stainless steel, alloy steel etc.The main electric components are imported USA IGBT and fast recovery diodes,pure copper transformer. 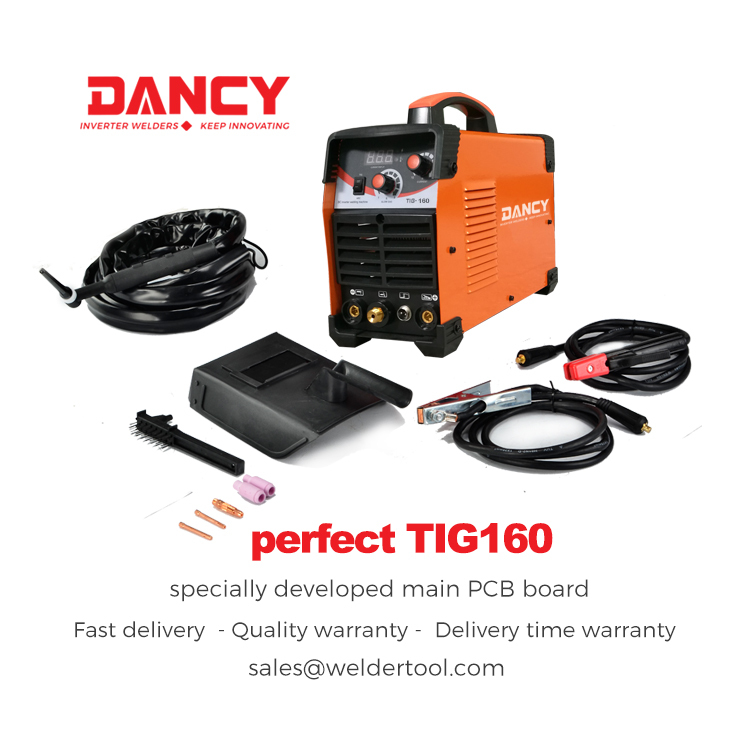 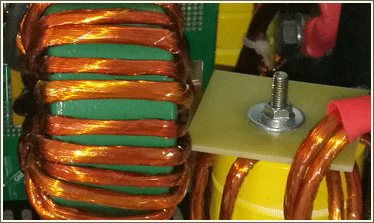 This tig welder supplemented by a specially developed main PCB board. 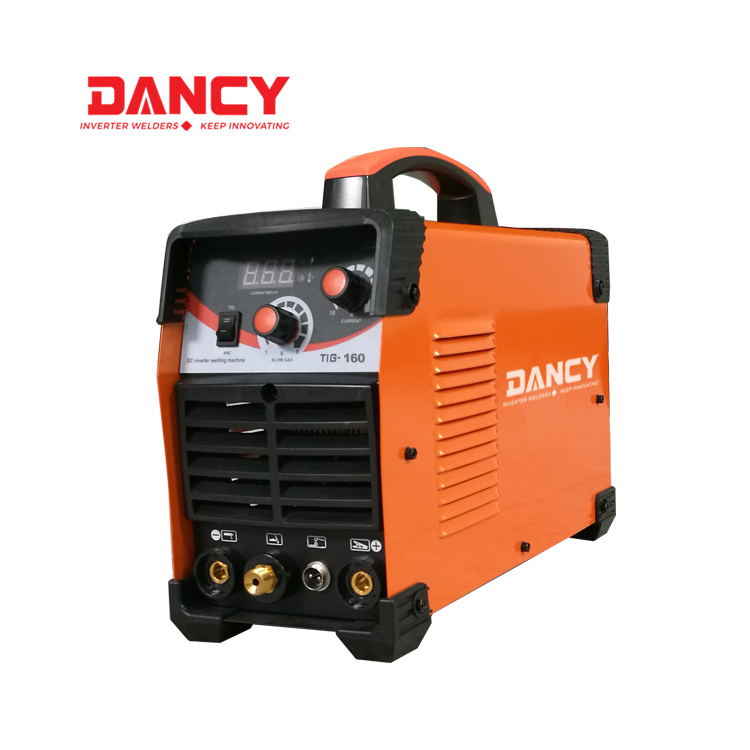 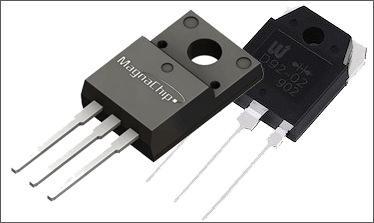 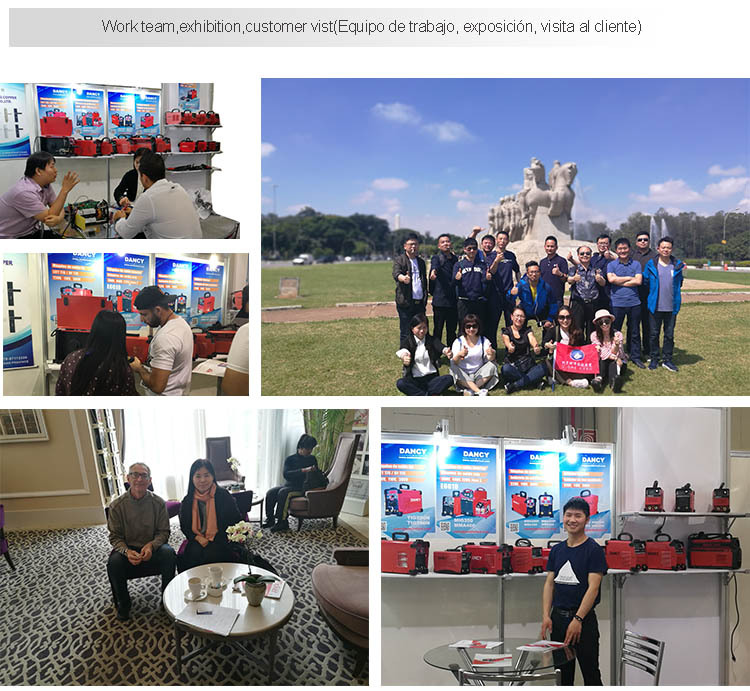 In addition, the uniform regulation of welding current has been designed to guarantee the arc reach good welding process adaptability. 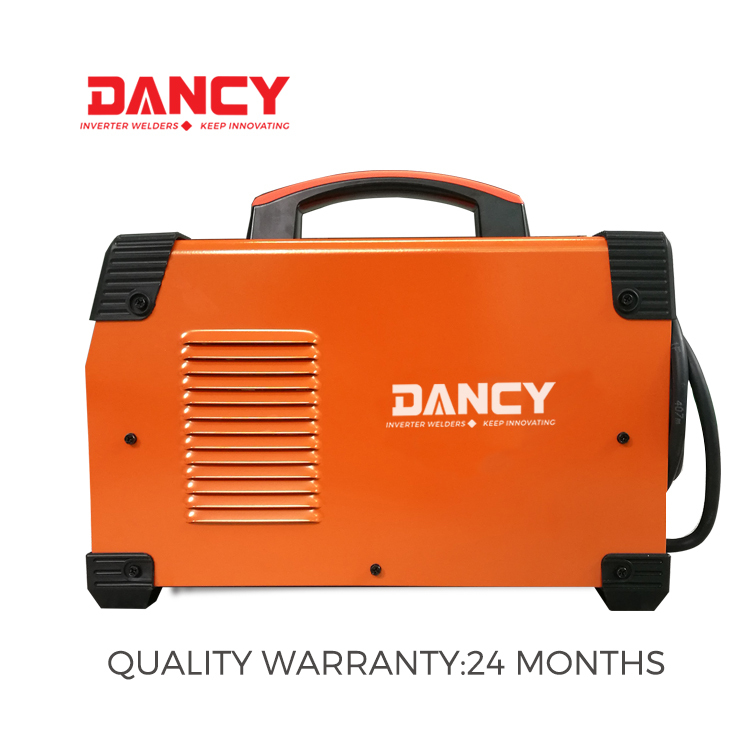 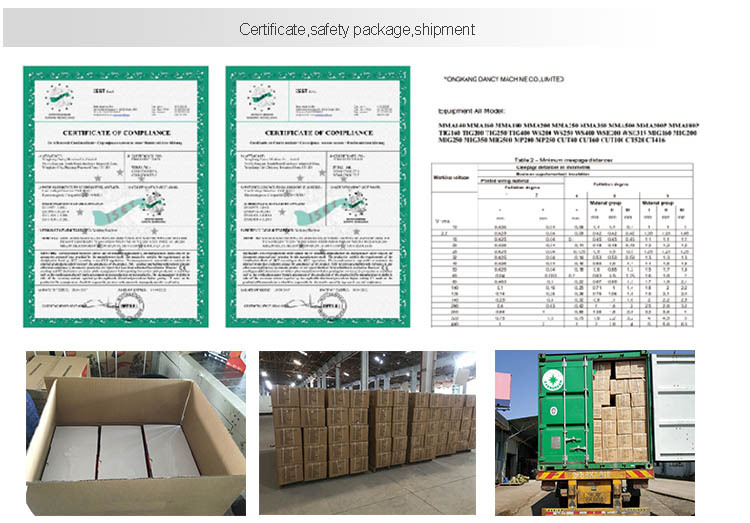 Additionally, its perfect dynamic protection features ensure that it is safe and reliable when use.